WE WILL BEAT ALL PRICING ON SONY PROBES & DISPLAYS !!! The Sony Magnescale DK series is a slim & compact digital probe. output is an A/B Quadrature signal with a reference point. They can handle harsh environments (IP64). output with a differential line driver. 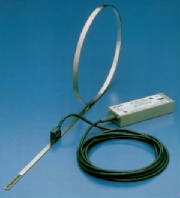 The Sony Magnescale DT series is a slim & compact digital probe. review data sheets and brief description below. The Sony LT20A (LT20) series is a compact, panel mount display. They are availible in 1 or 2 axis units. The Sony LT30 series is a compact, panel mount display. The Sony LT10A (LT10) series is a compact, panel mount display. The Sony LT11A (LT11) series is a compact, panel mount display. in which space is extremely limited. Digital probe for all your gaging needs.